Largest column is 1 3/8" L. x 1 1/4" W. x 5 1/2" H.
Scaled to unit block size, add classical inspiration with Roman columns, Byzantine, onion-shaped domes, English tower-spires, Middle-Eastern arches, and even steps. 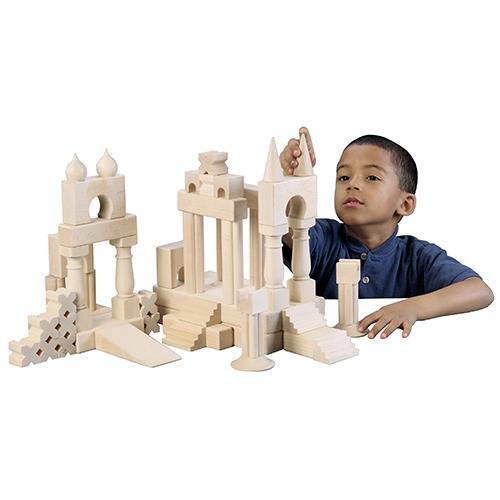 These building blocks provide hours of fun and offer a variety of shapes to play with that never get old. Largest column is 1 3/8" L. x 1 ¼" W. x 5 ½" H. Ages 3 yrs. +.